The Spirit allows you to create an outstanding, beautiful and a professional looking business websites. This Adobe Muse theme is amazing solution for for both corporate and creative projects. We chose stylish typography and made clean natural minimalist design that gives you the best possible option for your business. You can change colors, texts or replace the images in a few steps. 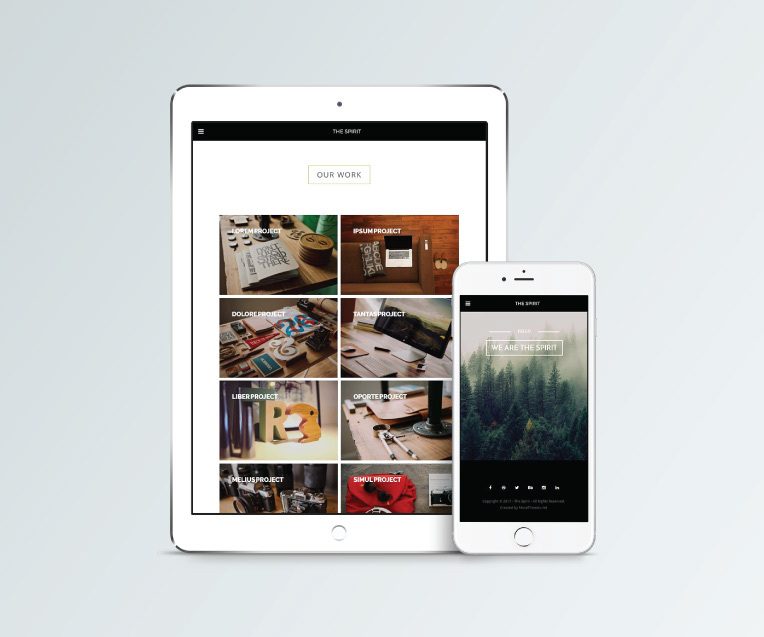 Clean and minimal, this template creates a stylish single page site. The Spirit comes with all sections you need for you business: Full Screen Slide Show, Main Features, About Us, Skills, Team, Service, Pricing, Portfolio, Contact and Single Portfolio Item page. This theme is great for my business, thank’s so much! 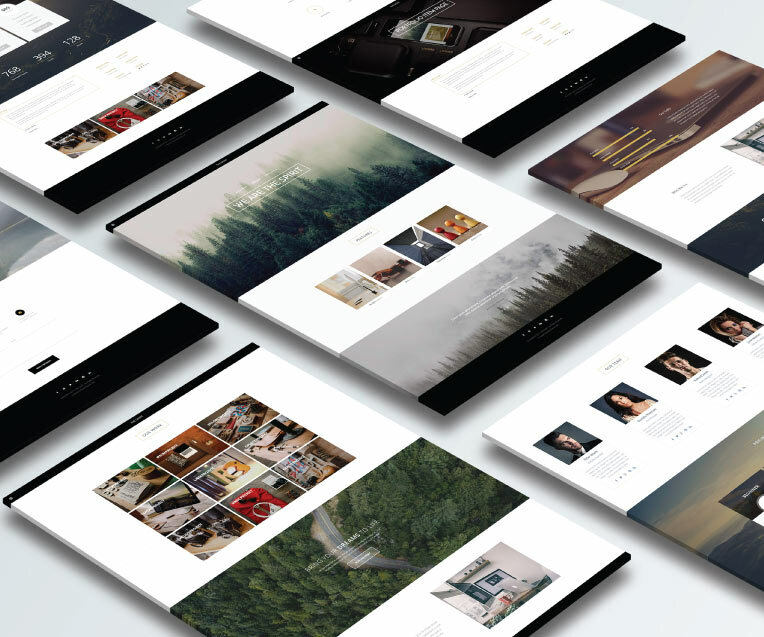 The Spirit is a responsive and creative Adobe Muse theme with a Beautiful and Minimalist design. It has a lot of amazing features like Responsive Layout, Muse Animate Widget, Animated Counters Widget, Animated Skill Bars Widget, Swipe and Push Widget, Back To Top Widget, Amazing natural look with Beautiful Hero Slider Images, and all the latest Muse features.